Despite the snowy weekends we’ve been having in Tokyo (here and here), blossoms have been popping up here and there. It’s a sign. The very best sign of all. It means warmer days are just around the corner (which is all I need really) and mother earth is starting to snuggle out of her winter blanket so we can enjoy her magical spring transformation (obviously I’ve forgotten how bad my hay fever is during the winter…but I don’t care!). Can. Not. Wait. 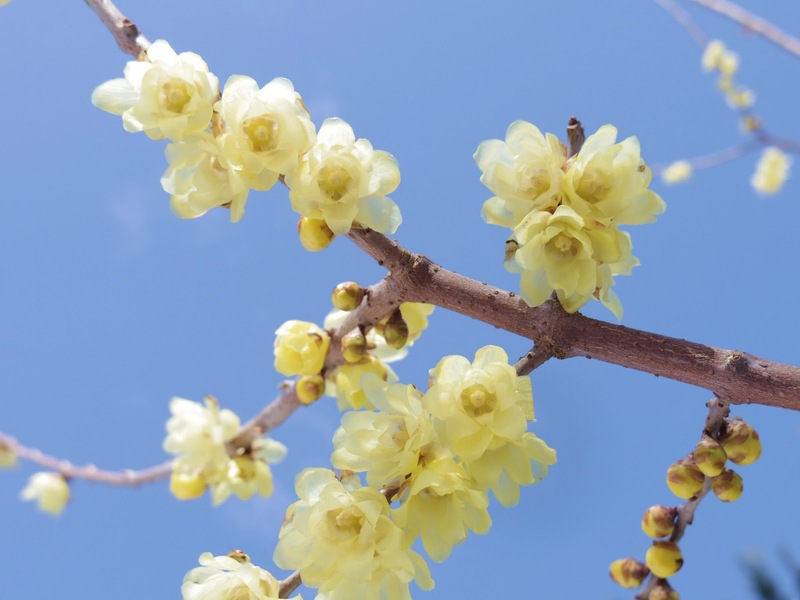 Major blossoms in Japan are ume (梅 – plum) and sakura (桜 – cherry). I love the ume for its delicate and fragrant blossoms and the sakura for its lush gorgeous trees. 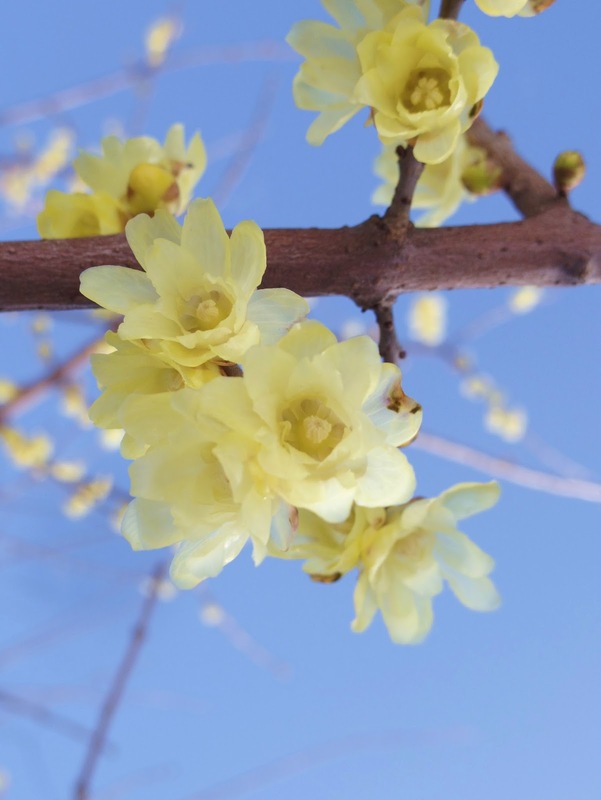 I’ve been seeing ume blossoms around the city but my absolute favorite blossom of all time is this yellow blossom. It’s called Robai in Japanese and Winter Sweet in English. (The kanji for Robai uses the characters wax (蠟) + plum (梅), apparently got the name from the fact that the blossoms look like waxwork.) It has an strong sweet fragrance and I couldn’t make up my mind whether to snap a shot or just keep on sniffing. 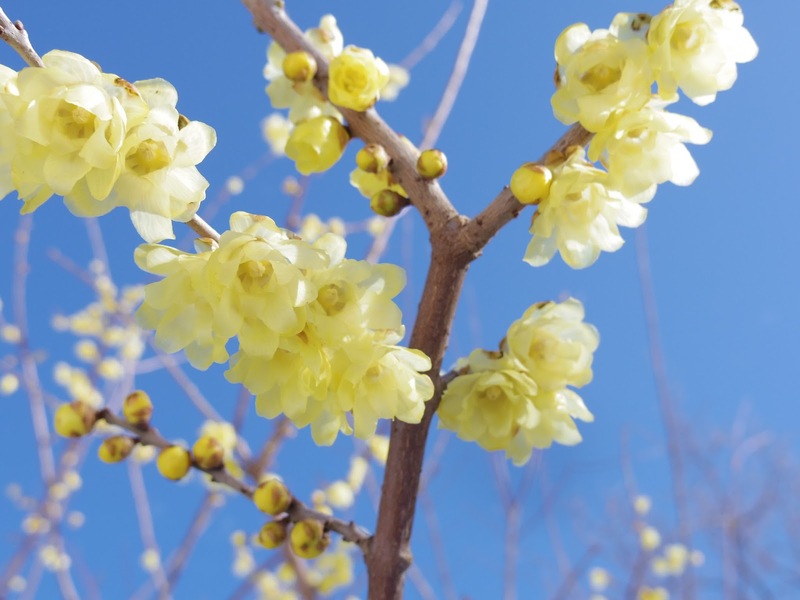 PS: If you want to see ume blossoms in Tokyo, here is a great guide to the best spots! from snow to flowers 🙂 great ! YES! A thousand times yes! Says she while sneezing, sniffling and twitching thanks to her annual misery, which has arrived in full force. Sneeze. Snort. Sulk. Where's my Allegra? PS: I still haven't continued our Female Student Discussion. You have a pesky habit of making me think. That's a difficult thing to do for a barbarian. PS: I have been reading books instead of blogs lately…I definitely need to catch up on yours!